Watch her dance to the beat while wearing the Kate Spade New York Kids® Metallic Knit Skirt Set. Long sleeves with straight hemline. Statement necklace graphic along the neckline. A-line silhouette with contrast trim. Top: 94% cotton, 6% elastane. 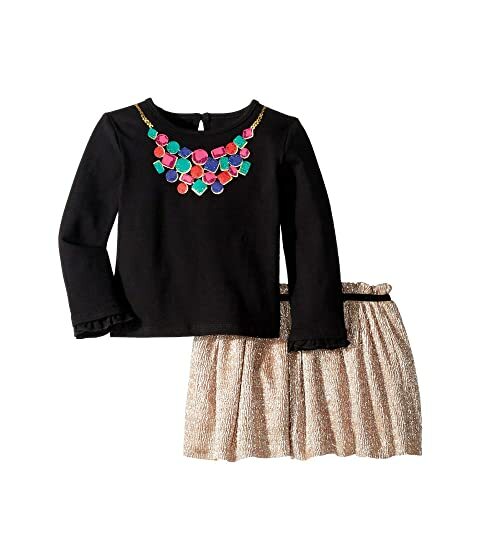 We can't currently find any similar items for the Metallic Knit Skirt Set (Infant) by Kate Spade New York Kids. Sorry!